Analysis: Is Tron [TRX] About visiting its all time high Price Again ? 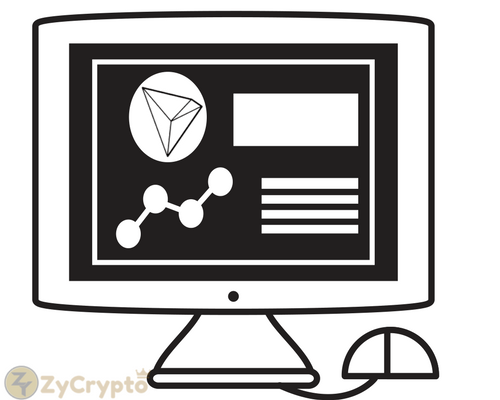 Tronix (TRX) which is the official cryptocurrency of TRON has been on a steady rise in price now for a couple of days. TRON is an ambitious project dedicated to building infrastructure for a truly decentralized internet. 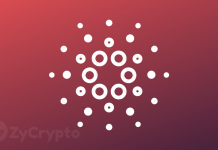 The Tron Protocol is one of the largest blockchain-based operating systems in the world. It offers scalable, highly available, and high-throughput support that underlies all the decentralized applications in the TRON ecosystem. Just like EOS analysed above, Tron also plans to launch its mainnet blockchain soon. Token migration from ERC20 TRX to Mainnet TRX will occur between June 21st -June 25th(GMT+8). What Impact will this mainnet launch have on TRX price? Sometimes in early January 2018, TRX/BTC made its all time high price to 2000 sats. ( about $0.34 then). Ever since then, TRX/BTC has been on a downtrend. It did found support at 400 sats towards the end of March. From 400 sats, it has been on a steady recovery all through the month of April. Tron travelled all the way from 400 sats to 1000 sats within the month of April. At 1000 sats, TRX/BTC seems to have found a level playing ground between the bulls and the bears. At the touch of 1000 sats early this month, Tron bulls seem to have been taking profit as price has been pulling back towards a key support level at 700 sats. 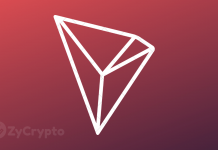 All things being equal, the mainnet launch by Tron is expected to have a positive impact on the price of TRX/BTC. 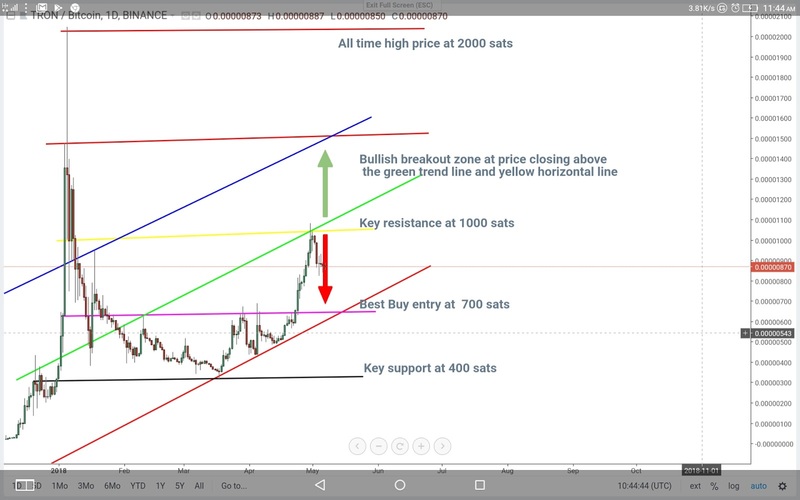 Technically, TRX is expected to find support at 700 sats where we have the horizontal line. At this price, TRX could experience another round of uptrend continuation to find resistance at 1000 sats. Depending on investors perspective of the mainnet launch and the adoptability, Tron could experience a strong bullish breakout above 1000 sats sometimes within the month of June. All things being equal, at price above 1000 sats TRON could also visit its all time high price if there’s a strong corresponding increase in demand for Tron tokens in respect to its large circulating supply. 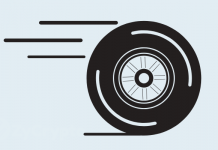 An increase in demand for TRON tokens coupled with an increase in its daily volume will definitely bring about an increase in price for TRON. The views and opinions expressed here are solely those of the author and do not necessarily reflect the views of ZyCrypto.com. Every investment and trading move involves risk, you should conduct your own independent research when making a trading decision.